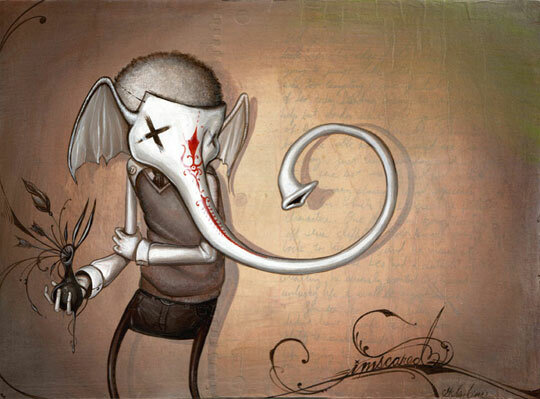 Greg Simkins, or ‘Craola’ from his early graffiti days, confesses to having an over active imagination. 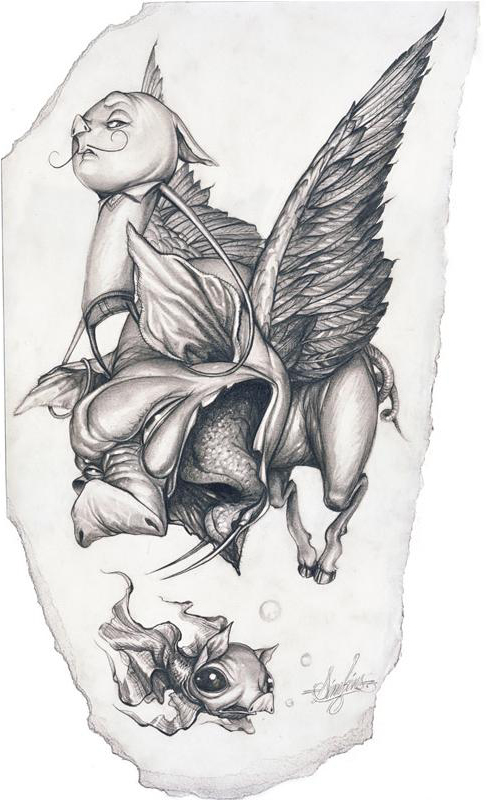 As he states, “it has always made sense to me that any artwork I develop should be composed of these vivid thoughts”. Inspirationally driven by childhood obsessions, nestled in the likes of Disney cartoons, Lorne Greens’ New Wilderness and books such as Watership Down and The Phantom Tollbooth. 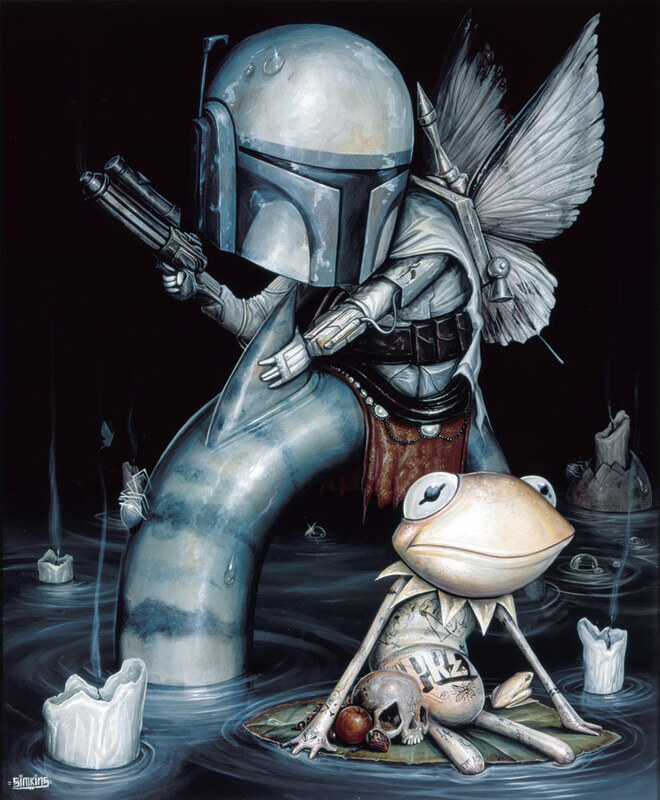 It is from this fodder that Greg Simkins partakes in the fine art of creating rabbit holes! Discovering his ‘art buzz’ from as early on as 3 years old, it was graffiti art that cemented the passion. Moreover it gave him the impulse to further create and the confidence to ‘go big’ with work. 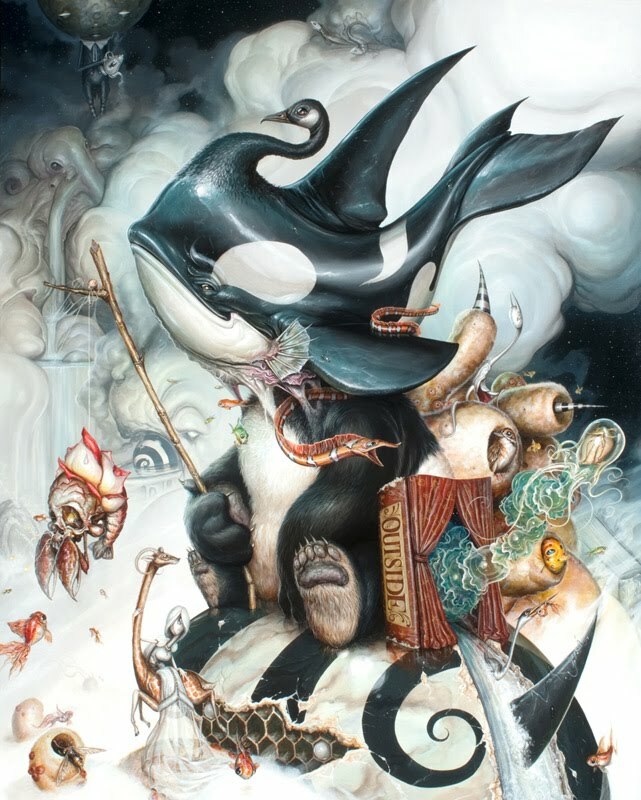 Greg got a Bachelors Degree in Studio Art (California State University, Long Beach) in 1999 before starting work as an illustrator at a number of clothing companies. He went on to spend some time working with video games company Treyarch/Activision before pursuing a career as a full-time artist in 2005. That’s tough, there is an underlying story threading its way through most of my work having to do with loss and redemption. Refuge and safety in dangerous places. I don’t think so. I am pretty normal I assume. I’d say I am very patient when working on a piece. It kind of calms me to be able to sit for long hours noodling away on a painting. Dr. Seuss of course. Man that guy had a great imagination. That’s 50/50/ I’ve had some people totally interpret it pretty close to what I am trying to do, while others miss it completely and assume so wild meanings. I am up for whatever people think about my work though and enjoy hearing some of the things they come up with. in the world? That’s too broad. It would be fun to have my own land at Disneyland, or a section of a casino like the Wynn, or take over a portion of Central Park, or decorate rooftops in LA as cloud watching lounges. I try no to focus on things like that with my art, it is hard, but I have this fear that if I get to stoked on one moment than that is where my growth ends. I always try to establish new goals and aim for them. That being said, finishing large painting like ‘The Pearl Thief’, ‘In Sleep’ and ‘Finding Home’ are great moments; butgetting married and my son’s birth outnumber everything.